On Tuesday, Jack Dorsey, one of the most well-known characters in Silicon Valley, just exposed his four million followers to Bitcoin (BTC) in a surprising turn of events. To the surprise of many, Dorsey, the incumbent chief executive of both Twitter and crypto-friendly Square, two technology upstarts valued at $54 billion collectively, publicly accepted a transaction via the Lightning Network. After receiving the torch, Matt Odell, a prominent programmer that has centered his efforts around Bitcoin, surprisingly asked Jack Dorsey if he wanted to tout the torch next. And interestingly after a day of deliberation, Dorsey agreed, quickly pasting a Lightning Network invoice in response to Odell’s sudden inquiry. Just like that, lightning struck, and Dorsey was sent 2.86 million satoshis (0.0286 BTC) for near-negligible fees and within seconds. Minutes after Odell issued a transaction, Dorsey, took to his personal Twitter page, the first-ever account issued (understandably so), to tout the merits of Lightning Network, calling Trust Chain a “cool example” of the benefits of the scaling solutions. He also confirmed that he received the 0.0286 BTC, subsequently claiming that he would be handing it back to Elizabeth Stark for the next hop. In subsequent tweets, the Bay Area citizen doubled-down on his affection to the Bitcoin maximalist mindset. When asked why he only holds BTC, an amount which he deemed “enough,” the Twitter head commented that the project is resilient, principled, native to the ideals of the Internet, and a great brand in and of itself. Dorsey also made jabs at Bitcoin Cash, saying “hell no” when asked if he held a position in it, and Tron, joking that he liked the movie, not the cryptocurrency. Dorsey’s recent Lightning Network experiment comes after he made a guest appearance on the Joe Rogan Experience, a podcast/web spectacle that sports over four million followers on Youtube. As reported by this outlet last weekend, Dorsey remarked on-air that the “Internet will have a [single] native currency,” adding that from his perspective, it is most likely going to be Bitcoin. He added that the Internet needs a currency, as it will bolster many operations worldwide, especially financial transactions and processes. Dorsey even went on to lambast the speculative nature of cryptocurrency markets, noting that Cash actually curbs day traders, while disallowing purely speculative transactions made via credit. His cardinal point was that he wishes to see cryptocurrencies reach global adoption not as a trade-centric asset, but as a tool for the overall betterment of humanity. 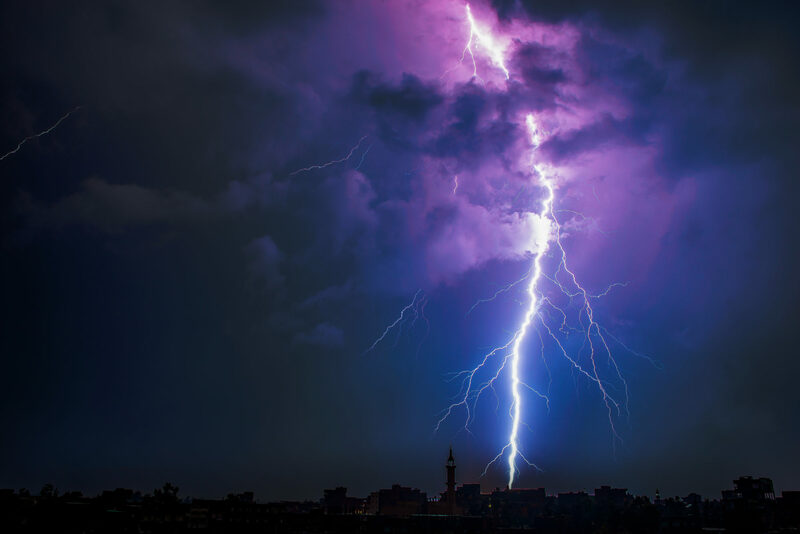 As Jack’s sudden foray into the realm of the Lightning Network quickly trended on crypto’s portion of Twitter, commentators quickly took to their feeds to buzz about the occurrence, deemed auspicious, if not bull run-inducing by some. Lightning strikes the Bitcoin community. Hodlonaut, the one behind this innovative test of the Bitcoin community and Lightning Network expressed his excitement, noting that never in his wildest dreams did he expect for Trust Chain to garner notable amounts of traction. Travis Kling, the chief investment officer of the Los Angeles-based Ikigai, noted that this bout of adoption is “the Lord’s work for the global, immutable, decentralized, non-sovereign, hardcapped supply, digital store of value [that is Bitcoin].” This comes after Kling made a series of overly optimistic comments regarding Bitcoin’s future, such as his opinion that cryptocurrencies could outperform all other assets in 2019, along with his underlying belief system that the rise of Bitcoin is inevitable. Pompliano lauded the Lightning Network’s fundamental value, explaining that he wouldn’t be surprised if wallet-to-wallet transfers with the scaling protocol were faster than traditional credit card payments. While the Lightning Network has a lot going for it. Where’s it going to strike next?